Epilepsy Research UK is managed by a board of medical and lay trustees with expertise in epilepsy, and legal and financial governance. Barrie Akin was born and brought up in Manchester, read law at University and qualified as a barrister. He then trained as a chartered accountant, specialising in taxation. After ten years as a partner in a major accounting firm, Barrie returned to the law and now practises in London as a tax barrister. His interests outside work are his family (one big son and two smaller twin sons, twin cats and twin dogs), his Citroen Traction Avant and addictions to flying (he holds a current PPL) and the works of Vladimir Nabokov. David Cameron was Prime Minister from May 2010 to July 2016. He served as Leader of the Conservative Party, and was the Member of Parliament for Witney in West Oxfordshire from June 2001 to September 2016. In October 2016 David became Chairman of the National Citizen Service Patrons. 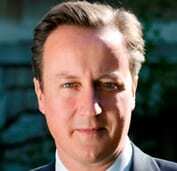 David, his wife Samantha, and their three young children, Nancy, Elwen, and Florence, live in London and West Oxfordshire. Very sadly their much loved eldest child, Ivan, who suffered from cerebral palsy and severe epilepsy, died in February 2009, aged six years old. Drawing from his own family’s experiences, David is a long-time supporter of Epilepsy Research UK and other charities and good causes working to raise awareness of the condition and to support patients and their families. Bruno Frenguelli is Professor of Neuroscience at the University of Warwick. His two main research interests lie in the cellular and molecular mechanisms of learning and memory, and the brain’s vulnerability to stroke, epilepsy and injury, and the role that the purines ATP and adenosine play in these processes. Bruno has been a member of the Scientific Advisory Committee (SAC) of Epilepsy Research UK since 2012 and was elected SAC Chair in 2017. Mary is a chartered accountant and restructuring expert who has specialised in financial services for over twenty-five years. Predominantly in consulting/advisory roles, and in interim FD roles. Mary’s experience includes advising clients on a variety of matters from market entry to exit and multiple aspects in between. 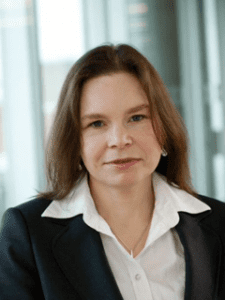 She has advised M&A matters; on Target Operating Model design and development; Business Definition Requirements; Risk management issues; Schemes of Arrangement; Part VII Business Transfer Schemes; conducted due diligence to opine on the financial condition of companies; and undertaken forensic accounting to support litigation. As well as working as a Trustee and NED for ERUK she sits on the Finance, Risk & Audit committee of another small charity. Mary has a close family member who lives with epilepsy and has for many years supported ERUK through various fundraising activities. 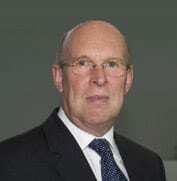 John Hirst retired as Chief Executive of the Met Office in September 2014. He is also a non-executive director of Marsh UK, a global insurance company and formally a non-executive director of Hammerson, the FTSE 100 property company, where he chaired the audit committee. Previously, he was CEO of Premier Farnell and spent 19 years with ICI plc. 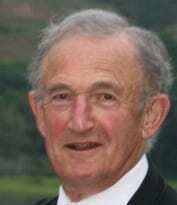 John holds a degree in economics from Leeds University and an Honorary Doctorate of Science from Exeter University. 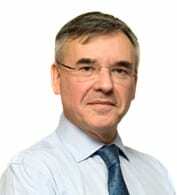 He is a Fellow of the Institute of Chartered Accountants in England and Wales, a Member of the Association of Corporate Treasurers and a companion of the Chartered British Institute of Management. 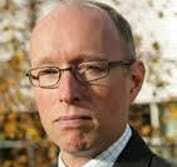 He was appointed CBE in the 2014 New Year Honours. John’s son had epilepsy from the age of 14 and died of SUDEP when he was 21. Simon Lanyon worked for the commercial sector in business information for over 20 years. He was MD for 10 years of the largest media monitoring company outside the USA. Simon has been a Trustee of a number of charities and was, until recently, the Operations Director for breast cancer charity The Haven. Mark Richardson is the Paul Getty III Professor of Epilepsy and Head of the Department of Clinical Neuroscience at King’s College London. He qualified in medicine from Oxford and trained in General Medicine and Neurology in Cambridge and London. Mark undertook his research training at UCL Institute of Neurology before being appointed as Senior Lecturer in Neurology (in 2005) and then Professor of Epilepsy (in 2007) at the Institute of Psychiatry, King’s College London. He is also an Honorary Consultant Neurologist at King’s College Hospital. Mark has been a member of the Scientific Advisory Committee of Epilepsy Research UK since 2007 and was its Chair 2013-2017. Harry Salmon is a former Managing Director, now retired for 10 years. His previous career embraced senior management positions in the food and hospitality industry and then in a number of private companies in the service industries and as a non-executive director of various small companies. For many years, Harry was a non-executive director at the National Hospital for Neurology and Neurosurgery (Queen’s Square), before it was merged with University College Hospital, and subsequently held a similar position at Parkside Community Health Trust. He has also served as a member of the Board of Governors of two private schools. Judith Spencer-Gregson has recently retired as Director of Finance of Muscular Dystrophy Campaign. Judith is a chartered accountant and for almost half her career had roles as a Finance Director in not for profit organisations, specialising in Further and Higher Education and Charities. The early part of her working life was in the accountancy profession advising clients; both commercial and not for profit. Since her retirement Judith plans to continue to support charities in a voluntary capacity. Judith enjoys walking, sailing and music. 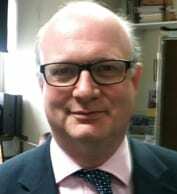 Matthew Walker is Head of the Department of Clinical and Experimental Epilepsy and Professor of Neurology at UCL Institute of Neurology, and the National Hospital for Neurology and Neurosurgery, Queen Square, London. Matthew is highly active in clinical and experimental epilepsy research and he has published over 200 scientific articles, chapters and books. He is Treasurer of the International League against Epilepsy (UK chapter) and secretary of the ILAE Commission on European Affairs. He was awarded the ILAE Ambassador for Epilepsy award in 2013. Matthew was elected Chair of the Board of Trustees of Epilepsy Research UK in 2017. These are honorary appointments recognising an individual’s committed support of epilepsy research.